Australia’s modern and ever-growing RnB movement. their dark and digital environment. for the attached premier Music Video. ‘She Knows’ success has not only created stir, but pushed his fans to the edge of their seat as they anticipate the sophomore second release ‘Didn’t Mind’. with rap friend Baro - Gill Bates is surely one to watch in the coming seasons. 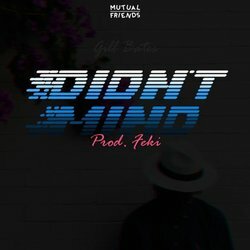 New single 'Didn't Mind' acts as a continuation of the sensual tones and digital stylings of 'She Knows' as Gill pairs his smooth flow with a keen eye for big speaker melody against the backdrop of fellow Brisbane wonderkid Feki's immaculately spacey production.